Welcome to Grand Island Central Catholic Middle and High School. We dedicate ourselves to producing well-rounded individuals who will become strong community leaders of tomorrow. We offer a Catholic faith-based education and welcome students of all faiths to join us. GICC is committed to excellence in academic achievement, Christian values formation, athletics, fine arts, and community service. Give your kids “an edge” from the moment they enter 6th grade until they throw their hats at 12th grade graduation. GICC eNews Keeps Families Up To Date! Please click the icon below to read the latest edition of our GICC eNews newsletter. Did you miss an issue from this current school year? Please visit our 2018-2019 newsletter archives to view past issues. The J-Crew recently published its second issue of The Lance. 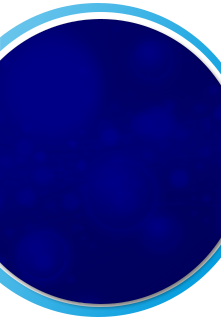 Take a moment to check it out! 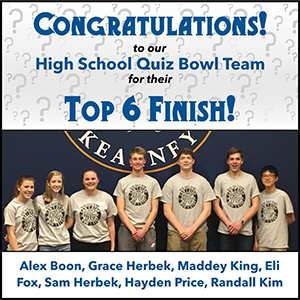 Our high school Quiz Bowl team competed on the UNK campus.